This post is the archived history of the term “Vendoming”. I’m proud to have introduced Vendoming into the Hobby’s vocabulary. I hope you find the backstory useful. Now that Family Travel for Real Life is a reality, I wanted to take a minute to formally thank all of you. The Early Bird tickets sold out and I actually had more speakers volunteer than time for them all. Many blogs (ranging from small to giant) have helped promote FT4RL on their own volition. I can’t even begin to tell you how much I appreciate the support for proof of concept. The speakers (Shawn, Jason, Phil, Susan, and Debbie) also have been SO generous and deserve special recognition as well. Like a snowball rolling downhill, FT4RL has picked up speed and continues to do so. The term “Vendomed” has picked up speed as well. I put it out there as an aside on Travel Blogger Buzz 2 months ago, defining it as “overplayed entitled arrogance”. Referring to the Park Hyatt Vendome in Paris, I coined the term in frustration at yet ANOTHER points blogger referring to the property as the end all be all hotel in the entire world, in this case specifically for families (with which I whole-heartedly disagree). Since May I’ve seen “Vendoming” in no fewer than 4 blog posts, most recently on Miles for Family where it has generated a really interesting discussion. As the coiner of the term, I thought some background (both on me and where the term comes from) would be helpful. My first Frequent Flyer event was in Chicago in October 2012. I was thrilled to meet my “idols” in the blogging community (update: LOL). However, I immediately noticed that as a Mom who didn’t require first class every time and didn’t want to open 15 credit cards most of the seminars left me cold. Ditto FTU in April 2013, and Chicago again in October 2013. Only one seminar (out of 15-ish) was tailored for families at each event, and it was the same speaker! All three times I searched for (and found) many others in the same boat, and all three times, I approached the organizers asking for more family- and budget- friendly content. (Note that I did not ask for MY content, just ANY content). Anytime one voice owns the title of “the voice”, it’s going to be a trap as well as a gift. Diversity of opinion is best for everyone, and it’s how we all learn. That’s why “Vendoming” bothers me so much. It presents a hotel that’s clearly not great for families larger than 3 (due to room size compared to cost) as the best option. It’s the same as telling a family of 4 they need 600k+ points for a week long trip to Paris. I heard that at least year’s Chicago Seminar “Family” session: (4x100K for business class tickets, 30k a night x7 for the Vendome). With “advice” like that we (as a community) do a dis-service to people who are just trying to travel more with their kids. But the point of Vendoming is NOT the Vendome! The point is recommending the Maldives or Samui instead of ANY other SEA beach. (I like Hua Hin or Ko Samet.) It’s the Park Hyatt Milan at 30 K over ANY other hotel in Italy. (Is Milan even on the top 3 cities in Italy to visit if not for the hotel?). It’s the Andaz 5th as the best hotel in NYC. (I’m a Hyatt girl too, but what about the Union Square or (gasp!) the Hyatt Place Midtown?). Travel is no longer travel when it’s a “points bloggers circuit”. THAT’s what Vendoming is all about, and rejection of the circuit is what’s gaining momentum. There is nothing wrong with spending 600K+ miles to get to Paris for a week at the Vendome if that’s what you want to do. I’m not ANTI-Anything, I am PRO options. More voices are a blessing, not a curse. I’m curious to get your take in the comments. Congrats on the Early Bird sell out – very, very cool! Sad that C’s school start date interferes with making it myself. I’m very happy there will be more family travel sessions in the miles and points community. That can only be a good thing for everyone! I’m not sure who presented on family travel at the Chicago Sems last year (it wasn’t me), though Ed (Pizza in Motion) and I did present in Tampa in September 2013 as well as I think earlier that year at the FTU before that. The premise of our session is generally how to make family travel easier. We do cover stretching miles using off-peak awards and award chart sweet spots coach, cheap ways to go from a base room to a suite for more space, easy paths to elite status for more perks for your family, and routes that typically have multiple premium cabin seats for multiple people. Also typically cover some family travel related gear, how to save on infant awards, etc. No way to cover everything related to family travel in one 60-90 minute session, but I’m not sure it is a fair summary to say the main takeaway from the session was to spend 600k to take your family to Paris (if indeed that was a reference to our session). That’s certainly one option if you have the miles to spend, but by no means the bulk of the session we typically present…or at least certainly isn’t the goal. I’ve certainly never spent that many points on one trip! Our goal is to help families travel as much and as comfortably as possible. If you have the miles to do it in a lie flat seat across the ocean – do it! If you don’t, don’t let that stop you. If anyone is bored and/or curious, here were the slides from our last Family Travel presentation almost a year ago. Just as an aside I think the Vendome was a good property – though not life changing or an absolute can’t miss. I didn’t realize how much I liked it until I stayed somewhere else in Paris that I didn’t like near as much – then I missed the ease of staying at the Vendome for sure! Would sting a lot more at 30k as oppose to the 22k we spent, but I do understand why it gets consistent good reviews from those staying on points. I must have missed the post that described it as the end all and by all for families – though I would love to read it as an interesting perspective. I’m pretty sure it wasn’t mine though I did just review it in May. Keep spreading lots of ways for families to travel however and wherever suits them best. Thank goodness for points and miles that make all of this so much more comfortable and easy than it otherwise could be. What a lucky world we live in! Thanks for stopping by and for your comments. It’s a tough place for you to be in as the lone Mom in what’s primarily a (to put it crudely) sausage fest seminar circuit. It’s not your fault, but puts you in an awkward position. I enjoyed your coverage of the Choice Atlantis Suites and your piece on flying Spirit was LOL. It’s the aggregate that creates the “go luxury or stay home” perception: coverage of the Park Hyatts Vendome and Maldives in a single week could scare off a person who just wants to visit their in-laws at a discount. Combine that with the BA front page often featuring 6 of the same credit card offer and it gets, well, just too much. Again I am 100% for more voices and more ways for families to travel being shared. I think the BoardingArea family alone has added several new family blogs to the fold in the last month or two, which is great (not to mention many of the existing female and male bloggers having kids over the last few years). So while i think more perspectives and options are great, I just don’t agree that the family blogs or sessions that were already out there are “Vendomey” in the sense that I understand the definition. Just speaking for myself, sure I have visited the Vendome and the Maldives, but that doesn’t define who the traveler or writer is. I think my very next stay after the Maldives was a HI Express, but that doesn’t make me “Holiday Inn Expressy”. It just makes me someone who uses points in different ways on different trips, just like many families do. I would hate for families to get the impression that they can’t have that Park Hyatt or Hyatt Resort stay any more then I would want them to think they shouldn’t sometimes stay at a Comfort Suites or HI Express on a 5k PointBreaks to stretch points and purely keep the focus on the destination. I think there is already enough division in this hobby that I would hate to see further fractionalization (made up word) among family miles and points blogs simply because there is a slightly different slant or travel style sometimes presented. It isn’t real life for most of us to pay out of pocket for stays at the Vendome or first class seats, but the cool thing about miles is that it makes things that are outside the arena of “real” or “possible”, totally possible. That might be more frequent trips to Grandmas, or a stay in a luxury property in a far away city. My family is lucky enough that it is both. In fact, next trip is on miles to Kansas to see Grandma. I just don’t see it as an either/or situation, and would hate for families to get the impression that they can’t have that Vendome or luxury stay if that is what they want, or that it means your travel is shallow if that is where you want to lay your head. I have always viewed it as teamwork of sorts for family miles bloggers to get lots of options out there instead of negativity toward any site, or individual type of trip another family might take, creeping in. I’ve seen that happen in the larger mom blogger world and I think everyone loses when that happens. I’m really excited for you putting together a conference just for families – that is a HUGE undertaking and I truly am sorry to miss it, but can’t wait to hear all about it. Thanks for your comments. I added some text for clarification to the post. I agree it’s not productive to snipe (and WHEW are you right on the Mommy Blogger circuit…MEOW!). But here’s the thing: it’s not sniping to note a disturbing trend across ALL points blogs (not just any specific one) and to also note the widespread rejection of such a trend. Vendoming wouldn’t have legs if I were a lone trumpeteer. Dia, thank you so much for the link! Congratulations on all the success with your upcoming seminar. I’m sure it will be full house. I think you nailed it that more diversity and opinions can only be beneficial for readers. All of us family bloggers should stick together and deliver the best possible value for our audience. For some, it will be “fancy” type of travel. Let’s face it, many families in this hobby are high-income earners with status and a healthy supply of miles due to business travel. They can afford to splurge, and there is nothing wrong with that. For others, families like mine, it’s critical to stretch our precious points and miles. A little luxury isn’t gonna hurt either. In fact, I love luxury. There, I said it! Me too! I have a “Deal Mommy Confession” post coming soon…I paid cash for a business class ticket! 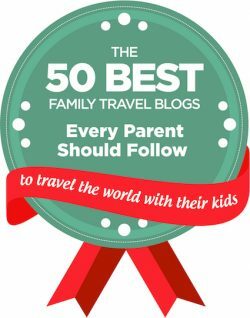 We are a family of 5, and I love the miles and points blogs that focus on family travel! I’m glad I found Mommy Points, Miles for Family and your blog. Thanks, Nancy. Love to hear more about your adventures! The Vendome area IS overrated. Paris is a city to be explored, to be “found”, to immense oneself in. I lived in Paris. I have stayed in a youth hostel, a two-star hotel, and a four star hotel. It is true, usually, you get what you pay for….but it is also true 1) that the hostel first time around was cleaner than the two-star place. 2) Your attitude does wonders for service. 3) Speaking French, softly and kindly, will upgrade your experience. Maybe not the room, but the experience. People kept giving me freebies just because I spoke French and for no other reason than that. 4) Sometimes, especially if it is your first and maybe only time in Paris, it is nice to splurge for that once in a lifetime hotel. The Vendome area, still, is overrated. I was never too fond of it. Gasp, shocking, isn’t it? It is filled with tourists! Other tourists. Did you go to Paris to talk with other tourists or to hang out with the Parisians? If you truly want a French experience, start with researching the neighborhoods. Find the ones to avoid (crime), the ones you can’t afford (1st), and the ones that just don’t fit your transporation needs (can’t walk too far). THEN find out your budget and points. Then make a list of hotels you’d like to stay at: dream hotels, ones you’ve got points with, areas you want to stay in. Then get out a map (yes, a map) and figure it out. The truth is that paying for cash during a promotion might get you a better deal. And yes, the Left bank is a really cool place to stay- and there are awesome restaurants there too. I’ve considered the Park Hyatt Vendome but I don’t like the views from the windows that people have posted. After all, if you’re shelling out that kind of money, one needs to like the view. It is your first and last impression of Paris every day, isn’t it? Someday I might decide to go back to Paris. I might decide that the Park Hyatt Vendome would be perfect for that trip. Right now, I’m partial to finding out more about the Shangri-La Paris location. And updates on the Sofitels. Yup, the Sofitels. Which was awesome when I stayed there (and four stars then too). People need to spread out more. It is a huge city. One doesn’t need to stay within a 1/2 mile square radius. Don’t forget about the hotels near Disneyland Paris (or whatever name they’re calling it now). If one has a family, and has a 3 or 4 day stay…why not go there for a day, just for the experience? The train ride into/out of Paris can be part of the vacation- and who doesn’t love trains??? If one loves the Park Hyatt Vendome and that area, then by all means, stay. Enjoy. Don’t stay elsewhere because it’s like craving an ice cream flavor. Nothing else will do if you want mint ice cream, and you’ll be disappointed with everything else. BUT if you’re not in love yet with the Vendome, research other places. You might find you really love the 16th arrondisement the best. Or prefer the Four Seasons George V. Or might decide Ibis properties suit your needs better. Paris is meant to be shared, not limited to one area. Now on to the more important subject: who has the best macarons? +1 million! Exactly what I was trying to reflect on a global scale. I like the Hyatt Etoile for views and value and the Radisson Blu Bologne for a neighborhood feel. But the point of Vendoming is NOT the Vendome! It’s the Maldives or Samui instead of ANY other SEA beach (I like Hua Hin or Ko Samet). It’s the Park Hyatt Milan at 30 K over ANY other hotel in Italy. It’s the Andaz 5th as the best hotel in NYC. Travel seems to have devolved into a “points bloggers circuit”. THAT’s what Vendoming is all about, and Rejection of the circuit is what’s gaining momentum. Top end affiliate links come with conversion targets or they go away. Look at who does and doesn’t have an Amex link anymore for examples. If you are selling credit cards, pushing super aspirational redemptions works. Basic marketing, sell people what they otherwise can’t have at a price where they can afford it. The disservice appears when this is sold as travel advice. It isn’t. Most of the points bloggers don’t travel, they fly and stay in chain hotels then fly home. And next to none of them do it with a family. Agreed. Fine to be a credit card blogger, not fine to push your “advice” as truly objective. Agreed…for the mere fact that there IS one, for starters! Just goes to show that Vendoming has legs. Ironically, this discussion has brought to my attention several blogs that combine the points info with travel news…blogs that I am enjoying reading!!! I find that with the family travel with points blogs actually have a LOT of great info about the places that they visit. A combination of 1) how to afford this with 2) lets explore what we’ve come to see info. So yes, please more of these! The demographic issues (namely, the overrepresentation of childless males) have been addressed above, but one factor that figures into that is that running a blog takes time and effort, as does traveling, and the most time-deficient point in your life in when you have small kids. 1) First, I think the emergence of the term “Vendoming” was brilliant and pretty hilarious. Well done, Dia. A lot of people in the miles & points blogs and Flyertalk world knew exactly what she meant by it. There is a lot of luxury going around, and not all of it seems to really have a point (and maybe not all of it has to have a point). This term encapsulates that critique and makes us all smile a bit. It’s good not to take ourselves too seriously. 2) That said, I think luxury has a real place in this hobby for everyone – single male travelers and families alike. What is sometimes lacking is the proper context. Example: I’m normally a Courtyard by Marriott kind of girl, but once a year, my family takes a big chunk of our Marriott points and gets a room at the Ritz-Carlton Lake Tahoe during the height of ski season. The hotel is slope side and has amenities that make it amazingly easy to ski with young kids – ski concierges make sure you never touch your (or your kids’) skis, rooms are big enough for 4 or 5, ski school meets right outside the door of the hotel, etc. To me, blog posts that focus on this kind of luxury really help me know how to spend my points most effectively. Knowing when and when not to splurge is the key. Some of the biggest names in the miles and points game never have to make this kind of decision because they have so many points they can fly first class as a matter of course. 4) This hobby is growing by leaps and bounds. It’s not just middle aged singly guy business travelers anymore. When I started seriously pursuing this hobby about 3 years ago, Mommy Points was the only one. Then I discovered the Deal Mommy when F2B launched. Later came Points with a Crew and a bunch of the Saverocity guys exploding onto the scene with small kiddos in tow too (aside: glad to see the dads getting in on this action). The growth of this hobby means more niches and voices can be heard and represented. That’s awesome. My RSS feed overfloweth. And that means those of us in a specific niche can break out on our own, as FT4RL has done, if we don’t like the dominant paradigm that is being sold. Agreed…and thanks! There are a number of Mom bloggers that go so over the top effusive for random properties…you know it isn’t their $! “Luxury” is relative as well. For example, when I was a kid and we traveled, a hotel would involve my parents and the four of us kids crammed into a single room at the Red Roof Inn. Whereas now, thanks to points, my wife and four kids and I can spread out in *two* category 1 Hyatt rooms. Luxury! Actually families and seniors have more in common than would at first be apparent. We seniors often like to stretch our $$, too I’d like to see more info overall about that. A hats off to the Loyalty Traveler blog, he will discuss Best Westerns, Choice, Wyndham and other lower priced chains. Also inexpensive trips he has taken. 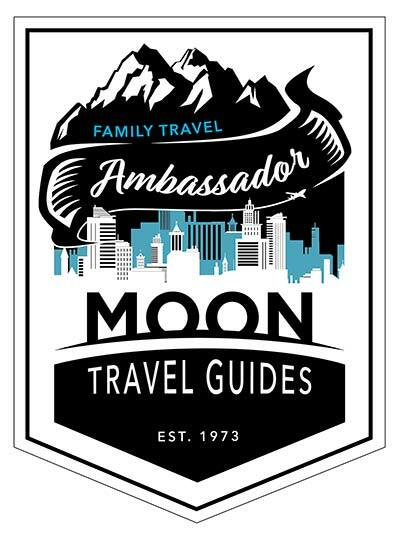 I’m a fan of Loyalty Traveler…and I’ve heard a few Grandparents are coming to FT4RL too! Great post and great discussion here and over at milesforfamily! Not everyone’s travel wants and needs are the same, nor should they be. 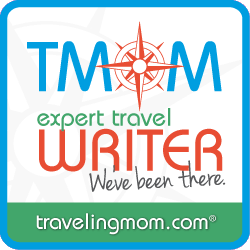 That’s why I love Mommy Points’ blog for the variety (Luxury, then Spirit Airlines, then Alaska). I think several of the Vendoming bloggers who post strictly about first-class travel are kind of ridiculous in that they pretend a couple of American chains that comp many of their trips are the pinnacle of luxury. Other than those few, the ‘anti-Vendoming’ isn’t actually ‘anti-‘ anything, but rather ‘let’s look at travel from a different perspective.’ As Mommy Points did impeccably in response to the tragic news of MH17. Thanks Dia! Exactly: it’s a reaction to the “fly first or stay home” vibe. We don’t object to flying first, we object to staying home! A great discussion! I love the term Vendomizing and I too am getting tired of this trend across most points blogs. I am also so tired of seeing pictures of kids in Business Class seats and such detailed descriptions of bathrooms and the breakfasts served at the Park Hyatt Vendome-type hotels. Full disclosure – I do have pictures of my daughter in a quite a few Delta lie-flat seats and have stayed at many hotels in Paris with the over-the-top breakfast buffets. But that is certainly not the highlight of our vacation, nor the part that I find interesting in all the blogs I read. So I usually just skim over those parts and read the points/miles information that pertains to me. When we returned from a trip to Paris when my daughter was younger, a relative asked her how she liked the small French petit-dejeuner (breakfast). Of course, my daughter was confused since all her breakfasts had been elaborate buffets at the Paris Hilton. And that is certainly not what the French are eating for breakfast. It is easy to fall into that type of travel. And I know some of the bloggers are defending themselves saying it is the way to make travel easier with kids. But there are tons of kids staying at the non-Vendomy hotels too. Having a great vacation, coming home with great travel memories. Dia – thanks for the great blog! And I really wish I could attend the FT4RL. I am sure it will be a success. Good luck! Thanks, Denise. As soon as I get over FT4RL, I’m hoping to start on an FT4RL2! It’s all about the balance and an attitude that encourages folks to get out more, no matter how! THAT’s what Vendoming (and the rejection of it) means to me. What is this all family travel stuff you guys? We just lost the 7% dividend in the Chase Sapphire card…the END IS NOT HERE BUT IS NOW NEAR! I’ve enjoyed reading this discussion. There are a lot more blogs than there used to be, heck I think when I started there was just me and in some ways you might consider FreeFrequentFlyerMiles.com to be a blog (at least on the other Gary’s What’s New page). With the proliferation of blogs – and voices – that means you can find one that resonates best with your style of travel and needs. People looking for different things than you are don’t, I think, call out for derision. Or questioning of motives. See, I actually enjoyed the Park Hyatt Vendome. Contra comments above about its location, it’s walking distance to three different metro stops so you can get pretty much anywhere in Paris without a change in trains. They have some small rooms, and bringing 4 people into them is going to be a problem. Which doesn’t make it a bad hotel, just a European one. 🙂 And folks looking to put 4 in a room (versus spending extra points, say, for a suite) are going to want to look elsewhere. Blogs focused on travel for four – or more – can help identify and share the hotels that are gems for just such a purpose. I think even in family travel there’s room for a multitude of voices because there are going to be diverse needs, preferences, and points-generating abilities. Which is cool. I take this post to really be saying “there’s a relative gap in this space, not enough voices speaking to me and those with similar needs and preferences, and that’s why I’m here.” That’s great! And if the set of folks whose needs were previously unmet, or not quite met as well, then there will be plenty of readers. And it sounds like yo’re doing a service with your seminar, if signups are brisk! But the other side that comes through, condescension towards others with a different perspective, doesn’t seem to rise to the level of discourse you say you’re striving for in saying “Diversity of opinion is best for everyone, and it’s how we all learn.” For what it’s worth. Definitely a post from the heart, though, and I much enjoyed reading it. Thanks for stopping by, Gary. I think I can help reconcile the 2. The proliferation in the family space is a NEW development, and it took NEW outlets to flourish (not meaning my own per se, there are others now). It would have been a heck of a lot easier if the diversity were more prevalent within the existing mechanisms of FTU and Chicago Seminars. It’s not my intent to show condescension, however it IS my intent (and based on feedback, others as well) to show FRUSTRATION at what has, I think even you can admit, has become repetitive on the “big blogs” Often the front page of BA shows 10 bloggers covering the exact same content! That’s how the 2 reconcile. Diversity IS how we learn, and until recently there’s been a shocking lack of it. Vendoming is a reaction to the repetition. I guess my question is, why be frustrated? You’ve gone out and DONE something about it. You felt like existing things didn’t meet your needs, so you decided to offer something else — in your blog, and in your family travel get together. FTU isn’t going to be everything to everyone. It can’t be. My blog isn’t either, and I’ve never tried to make it so. It’s just been about what’s interesting to me on a given day, for whatever reason. I think it’s awesome when others find it interesting and worth reading but that’s never been my starting place. When there’s big news in the frequent flyer community — or frankly anything that’s news in our little world — you’re going to see everyone talking about it. I can’t speak to other blogs, I read the ones that are interesting to me [my personal taste, I read One Mile at a Time probably the most thoroughly]. There are good blogs and bad blogs within any genre but mostly there’s a bunch of blogs and folks can find the ones whose voices most match what’s useful to them. I always htink it’s a bit strange to push back on blogs covering the same events. Because what a small group of people who read so many seem to forget is that most readers do not read them all or even many. I’m always surprised by the extent to which there’s really quite limited overlap in readerships between my blog and Lucky’s. And if I cover the same hotel promotion as Loyalty Traveler it’s likely only a small subset of people see both of us do it. And a small set of people find their articles on the BoardingArea home page. Look at blogs in other genres. We weren’t the only ones talking MH17. There’s foreign policy blogs and political blogs. And during elections all of the political blogs are talking about the same developments of the day. And you find the ones whose voice resonates most with you either because you agree with their perspective, they bring you useful information, or they challenge you. And there are tons of blogs in politics that I think are useless, regardless of orientation. That’s a much more saturated space than miles and points, and has been for years, but occasionally someone breaks through doing something different and new (think Nate Silver). So you find something you think is missing and that doesn’t mean there’s something awful in what’s out there just that there’s a great opportunity for a new voice. Existing voices aren’t less legitimate. There are always tradeoffs at seminars in terms of audience, space, speakers, topics so you cannot cover everyhting. Where there are gaps you try to fill them. So I give you real kudos for trying to fill what you see as a gap. It’s not my thing, I have little to add in that space (because I *am* a middle aged white business travel type without kids…. not useful to the experience of many, but also something I sort of have to say #sorrynotsorry to and speak from my own perspective realizing that it won’t speak to everyone). Great discussion, I just think there’s too much criticism because blog X doesn’t say ________ [whatever I wish they would] or does say ______ [whatever bothers me] rather than recognizing that we all have our own voices, we’re people behind the keyboards. Thanks for the comment and kudos. I’m a big fan (if no one has noticed;) of challenging the status quo and am happy to take the risk/potential hit in doing so. However, like I tell my kids, some things shouldn’t have to be said out loud, they are just are the way they are. I know as a parent needing to keep stating the obvious causes frustration. Like: in order for new voices to thrive, perhaps their SEO and social media presence shouldn’t be attacked by a copycat name? I guess I’m not one of your kids, because I don’t even know what you’re talking about or how it’s at all responsive to what I was saying above? I’m a big fan of what you’re doing — building out the kind of content and events that you felt were missing in the space. I just don’t see why you feel the need to be so critical of others as the same time. Not everyone who disagrees with you or travels differently than you is evil or stupid, they are just valuing different things. It struck me how apologetic some bloggers have seemed to be recently flying international first class and staying at top end hotels. When an extra 12,500 miles for First over Business in the AAdvantage program [10,000 between the US and Southeast Asia ROUNDTRIP with US AIrways], when you can easily generate millions of miles, is awesome. There’s no need to apologize for it. You won’t find 4 seats in a cabin except at the last minute, to be sure, and if a family has to fly together, four people in the same cabin that’s not relevant to them. And I think you’re saying that bloggers writing abou this ought to get an SEO penalty for it? As for references to a copycat name, again I don’t see what that has to do with me, my reply, Vendome, or anything else? Does it refer to how the Deal Mommy is like Deal Wise Mommy, Deals for Mommy, Deal Seeking Mom, Mom on Dealz, or Deal-icious Mom? I guess you’re thinking that Prior2Boarding (which was the original name for all of the blogs that weren’t featured when BoardingArea launched years ago) is sort of like first2board, which was a takeoff on BoardingArea when 2 BoardingArea bloggers left to start their own competing site? Again, I don’t get it but most of all I don’t see what that has to do with this post, or my comments and thoughts to you. I mean, all of this silliness, it just reminds me of Monty Python’s Life of Brian…. Let’s get back to enjoying travel and miles and points and not worrying so much how other people spend their miles. I agree with you that both writing and choosing what to read is a matter of personal choice (Libertarian that I am), what I am trying to address is the matter of scale and balance. Vendoming refers to the rejection of the overwhelming perception (which is hardly my own) of the luxury-centric tone at the expense of any alternatives. No need to apologize (anyone) for your choices. I find it interesting that both you and Mommypoints open up and repeatedly beat down your pedigree in the blogging circuit. yes we all know you were one of the first. of course we all know how competition affects your business model, so please save us the “I think it’s great we have more voices” bullcrap that you nad your Boarding Area cronies spew. the only Mommy I follow now rites this blog. I think the condescension comes from sites that post thinly veiled credit card ads as travel advice. I don’t mind being sold something, but don’t hide it or couch it in mediocre content. And I’m not pointing the finger at Gary or Lucky here. Lucky gets the bulk of my affiliate clicks because I appreciate the effort involved in reviewing every. Single. Product I might ever fly or sleep in. Gary and I disagree on whether its called national or reagan. But there are a lot of blogs, even just on ba, that do nothing but push offers and call it advice. I mean, delta points? I think that’s where the condescension arises. I agree with the sentiment, but I still don’t think it’s condescending (or sniping, etc.) to point out (in a humorous way) a growing trend that many have noticed and find (fill in the adjective here). So Much good stuff here. I actually don’t have a philosophical problem with the idea of “Vendoming”–except when the term “Free” is thrown around with it. The Maldives example you give is a good one. There is absolutely nothing “free” about such a stay. Saying incidental costs were covered with Fixed Value points (such as barclay arrivals points) doesn’t make it free–it just makes you *think* it was free. Mattress runs to earn “free” breakfast fall into this same category. Larger Picture: When you give the illusion of paying nothing for a trip you have no need to truly review the place you’re staying at. You become one of the many “me too’s” out there–clamoring how amazing the products are, while glossing over the true negatives and downplaying the actual cost(s). For your readers: When someone spends points on a specific redemption based on an intrinsic value they *think* it holds there’s a bit of catch-22 there. They have to love it. They just saved so much on it. This self-serving bias holds true for almost anything valued above true market value. Is the Park Hyatt a great hotel? Of course it is. But that doesn’t automatically mean it is the right place for everyone, or even an enjoyable one for all. Such one size fits all travel doesn’t exist; that’s because travel is and should be personal. Personally, to me, even the greatest hotels should really be mere jumping off points. Breakfast, then out all day, and returning at night. If I wanted to spend days on property lounging at their amazing pool I’d just book a similar caliber hotel near my house and save the 24+ hours of travel. Just remember: there can be surprises at both ends of the spectrum; fine hotels which let you down and hidden inexpensive gems which make your trip all the more memorable. Others of you might be the exact opposite–traveling to a hotel for the purpose of spending the majority of your time there. If you’re traveling within your means and enjoying your time–more power to you! Vendoming or AirBnB’ing, no matter how you approach travel make sure you book with eyes wide open, rather than eyes wide shut. I wonder who said that the Maldives was free? I hadn’t seen that anywhere, actually. It’s quite expensive, even when using points to travel to Male and points for your hotel and getting breakfast included. It is very much worth it, for me. I truly enjoy it, and find that using miles and points makes it work reasonably well with what I’m spending for what I get. That’s why I’ve gone several times. I don’t think the review cited in the original post here, which didn’t like it, is really citing “the most balanced review.” It’s the review that best corresponds to the original poster’s priors. Stay on about Vendoming. Discourage families from flying 1st. And keeping the kids with you, in coach. Really, I appreciate it. I think this is a hilarious topic because I just got back from Paris. I think the term is perfect and captures the myopic and repetitive nature of the blogosphere right now. Btw, I stayed at the hotel du louvre on a cash and points stay, which was only blocks from the vendome, and much cheaper (but still fairly high end). We walked over to the park Hyatt to take a look. I just couldn’t part with that many points, but it looked really nice. We spent most of our evenings touring on the rental bicycles. We hit local bistros and cafes, pattiseries, outdoor dance clubs near the river, Street vendors, fireworks in the park, and saw a riot. We were rarely in our room. Weird how most travel blogs never cover much actual travel travel. Thanks for your comment and the Du Louvre report. I’ve done the Etoile, but have been curious. I enjoyed the hotel, and the location was great. Breakfast was excellent. The rooms were a bit small, and the building is obviously a little older, so if that’s not your thing… I wasn’t able to use a suite upgrade, but I only tried a few days in advance. I didn’t think Paris was too difficult to get around in, especially between rental bikes, metro, and uber. The key of course is to have T-Mobile or a local Sim card so Google can lead you around like a good automaton. Scott, I am jealous. 🙂 Your visit sounds lovely (well, except the riot part). Have you seen the “Paris, Je T’aime” movie yet? I get a feeling you’d love it. The last paragraph of your post has brought wonderful images to mind! Seems like a lot of stereotyping and straw man sorts of arguments. Maybe there’s something you want to say and just aren’t willing to say it out loud. Stay where it suits you, find blogs that speak to you because you find them useful, because you enjoy them, or for that matter because they enrage you. And if there’s a gap, by all means think about whether you can address the gap yourself or perhaps find someone else well-positioned and knowledgeable you might be able to team up with to do it. No need for pitched battles, or getting down on others, get out and celebrate travel and do more of it.. your own style, whatever that is. As for me, I’ll make no apology for the extra 10,000 miles to get Cathay First instead of business. Roundtrip. Or for booking the Park Hyatt Vendome again for my next trip to Paris (pre-devaluation, natch). Or for eating at places like El Bulli (sadly no longer open) while at the same time enjoying nothing more than an evening at the East Coast Lagoon Village hawker center in Singapore.. open air, on the beach, fantastic chili crab…. I know that I’ve been so fortunate to participate in this hobby, to learn so much, to meet so many people and to see the world which I never thought would be a part of my life growing up. I am truly one of the lucky people. And when I blog I write about my travels, my thoughts on travel, on loyalty programs. I write for me, and if others get something out of it I think that’s awesome. And I’m honored and humbled when they do. But I don’t know anything about traveling with kids, though I sure do know about finding award space for parties of four or more.. and infant fares… I like the high end and I like the low end, and I love experiencing them both and there’s nothing wrong with either one. I just wish we could celebrate both without some folks’ need to trash some of the things that this hobby opens up on the cheap that most people are used to thinking is exorbitantly out of their reach. They may or may not want it, but for those that do enjoy it, go forth and do so! LOL. That’s possibly the 1st time someone has thought I wanted to say something and not been willing to say it out loud! More is better. On that we all can agree. Gary, I read your Paris report. Wasn’t thrilled with it. Of course, that’s coming from a perspective of someone that has lived in Paris and has a degree in both History and French. I’m just tired of all the “PHV is so great” posts. Blah. I get the fact that people stay there for the free rooms. Hell yes, I’d do it too. But the coverage is so freaking over-the-top about both the hotel and the area. I really do believe Mommy Points’s review of the PHV is the most balanced one I’ve seen (and the only reason why I would consider the hotel). I’m a fan of her reviews. I think she’s awesome- she tells the whole story, as much as she can. One of the reasons why I’ve embraced the Vendoming discussion is because travel is open for everyone. I love the posts about using points to get to someplace- and then exploring it. Yes, I do like to know exactly what the rooms look like too. But come on, it isn’t always about 1st class. One of my most favorite stories is when my friend and I stayed in a co-ed youth hostel in Prague that had no shower curtains in the co-ed bathroom. It was a…unique experience that made the entire trip perfect. Oh, and my goodness, I met one of the cast from Raymond in coach (in coach!!) and another film actor on a train. So, it’s all kinds of people downsizing their travel options and seeing the world. I’ve done 1st class, I’ve done the last row class, I’ve done in-between. And it’s about the memories created during travel that count- not the kind of shampoo in the hotel bathroom! I guess, Gary, what I’m seeing lacking in your blog is this: great. You’ve got 1st class and free nights. That’s awesome. But what about the city you’re in?? Where are the details about the actual destination in the travel story? Did you make new friends? Try different foods? What about a price comparions of local cafes in the area? How do other tourists around the world think about the same place? And why is it every blog I read about PHV never mentions Pariscope? *sigh* And why does everyone complain about getting around in Paris. Walk people! Does no one ever do their research? Do as the Parisians do in Paris! And yes, the Maldives are so overrated. Want to explore an island? Go to New Zealand. Cool, hip, and not over-done yet! I know Vendoming is now a global term but I have to wonder: if one doesn’t get the original Place Vendome correct, then how on earth are there reports about other places they visited correct? And no, it’s not near everything either. Some people consider the left bank more important as a place to stay. As someone that has stayed on both the right and left banks of Paris, I do much prefer the left bank. If one loves the PHV, stay there. I have my favorite hotel spots too (and I won’t stay elsewhere, so I completely understand). Stay there for free if one can (which is awesome. I collect and use points too!!!!). But the whole “PHV is SUPER!!! No place else exists. If you can’t afford it or aren’t a Hyatt member, stay away” mentality has got to go! If I asked you about Basilique cathédrale de Saint-Denis, and that’s its important to visit while in Paris, would you have a clue what I meant….or would you rather post about the 8 credit cards you used to earn points for the PHV??? I don’t have a blog. I’m just a reader. Someone that has embraced the new word Vendoming. The term is funny and witty and apparently strikes a nerve. I thought frequent miler’s thoughts on the term were equally humorous. That is the spirit in which it was intended. I may or may not have taken the term too seriously. And/or too personally. How was the Etoile? I was thinking of using a suite upgrade for a stay there in a few months. Gets mixed reviews. Your thoughts? I have a full review on the travel inspiration page. It’s solid 4 star. Suites are comically large! Location on top of mall/metro so very easy. I thought if was great value for a paid stay with a suite upgrade. I think I paid 159 Euro. Thanks for your reply! I will check out your review. It looked like a really good value with the upgrade. I’ve stayed all over the city and always try new places each time and this looked like a real possibility. You can usually find nice hotels for $200/nt or less so spending 30K on a top Hyatt never makes sense to me. BTW, 600K points for a trip to Paris seems crazy. My wife and I spent 4 nights in Paris using 60K USAir miles for 2 off peak economy award flights and 100K Carlson points (basically sign up bonus plus min spend). Still a great trip at a fraction of the cost in miles. I seriously left the session, turned to a random person, and asked “Did anyone else want to scream “COACH!”?” Got about about 5 “Yes!” In response. I may be one writing, but the sentiment is far and wide. Don’t hate me because I Vendome. Lol. Hate the game, not the player! I really enjoyed reading this discussion. One of the things that I hate in the miles and points world–and I’m guilty of it too–is the lack of original content combined with a good helping of FOMO. Ben or Gary will post reviews of certain things, and then it’s a must do for all of the other newer bloggers, such that you get this oversaturation of reviews of the exact same products. It kinda feels like if you haven’t been to the LH FCT, then there’s no way that you can qualify as a “true” miles/points blogger, and so everyone goes and posts the same review but secretly we’re all like, “that’s it? I must have just had an off experience since Lucky raves about LH F so much and there’s no way I could contradict him”. Same thing with the Park Hyatt Paris Vendome. How can you be a miles/points blogger and NOT stay there if you’re in Paris? This very small core of very prolific bloggers has essentially set certain standards (or perhaps it’s more apt to say standard experiences), and for the rest of us who are just starting (whether that be blogging or traveling), we feel like we have to experience the same things or feel left out. It’s weird and largely defeats a large part of the purpose of travel. You get similar things with Yelp or TripAdvisor nowadays. You never want to go somewhere and not research where to eat beforehand since you might miss out on what everyone else says is the best thing ever. But this also means that your experiences become curated and somewhat superficial, as you just attempt to replicate experiences that everyone else has. I was recently in Beijing, and of course I went to Da Dong to get peking duck, but I also wandered down a street in a hutong, saw some girls eating bowls of noodles, followed a random person down an alleyway who started asking, “noodles? noodles? where are the noodles coming from?”, ended up in what looked like someone’s living room, and ate a tasty bowl of noodles where the woman was so clearly shocked that any non-local would be there that she forced my friend and me to take a picture of the address with her so that we would come back. And I flew economy and stayed at a hostel and didn’t use points for any part of this trip! I’m such a bad blogger! THANK YOU for getting it. I think there’s a genuine lack of a awareness of those who live in the bubble how much their content drives FOMO. Well said! Fun discussion. Looks like the water is warm, so I’ll jump in. For starters, I’ve thoroughly enjoyed presenting at a few FTUs with Summer. And, I enjoyed meeting you (Deal Mommy) at my happy hour a month or so ago. I got a good chuckle out of “Vendoming” as a term, but I’ll still stay there if/when I go back to Paris. Why? I’m lucky enough to have a lot of Hyatt points, which I understand not everyone is. For me, my work travel schedule doesn’t permit me to take 10 trips by plane with my family each year. The number is more like 3 or 4 if I’m lucky. So, we make the most of those and try to travel as comfortably as possible. I absolutely loved the Park Hyatt Vendome. They took excellent care of us, buying us lunch when we arrived early and our room wasn’t quite ready. They upgraded us when they weren’t required to, and doted on my kids (probably the most important part). When I asked the concierge how to find a grocery store nearby so I could pick up some fresh fruit and other snacks for the kids, she didn’t try to direct me to room service to spend money with the hotel. She offered to go to the grocery store for me. That’s pretty awesome in my book. Would I pay for breakfast at the PH Vendome? Uh, no. I have yet to meet a breakfast worth $50, unless it washes my car and cleans my office. But, my experience there was lights out. Somewhat echoing Gary’s statements, I guess I just don’t see any reason to pick sides. Some people are going to love PHV, others won’t, and still others will love it but can’t afford it. I enjoy writing and helping people. My blog helps me do both, and it’s also connected me to a bunch of other bloggers that I continue to learn from. My Newsblur account is billowing smoke for all the posts I haven’t read and there’s still more to add. I’ve shared a fair amount of Deal Mommy posts with my wife, probably more than most blogs since she likes to shop so much (a pox on you for reporting that Zulily sale). And, I’ve shared plenty of other posts with her as we plan our trips. **In a humorous twist of fate, my kids came into my office just now to sing along with Celebrate a Dream Come True (the Disney parade song), which I’m sure would make a whole slew of travel bloggers weep softly. For those that don’t know, I am one of the co-founders of Milepoint (with Gary and others). When we started that community a bunch of people in the travel community felt like people should be forced to choose between FlyerTalk and Milepoint. To this day, 3 years later, I still ask simply, why? There’s plenty of advice to go around. Same thing with travel blogs. I don’t really have a financial stake in whether there are 3 or 300 travel blogs. I also don’t pay my mortgage with my blog. But, I respect those that do. And, I think people that fly with their kids in coach to Europe are a whole lot braver than me. I just don’t choose to travel that way because I’m able to earn enough points to fly more comfortably. If I didn’t have the points, I certainly wouldn’t be shelling out thousands of dollars for business class tickets to Europe, but thankfully I haven’t had to confront that issue. Maybe when I write about Vendome, it doesn’t hold interest for you. Your Sam’s Club post the other day wasn’t my flavor, either. Not because I didn’t want to save 5%. I actually have a Sam’s Club membership and have bought gift cards there in the past to help pay for Disney trips and dues on our DVC membership. But, I had a couple cards that didn’t get activated correctly and it caused me a ton of grief getting Sam’s Club to make it right, where Costco has never hassled me about anything of that nature. But, I enjoyed the Great Wolf post a couple months ago because we drive there 3 or 4 times a year. And, my wife tried out Twice. So, I get great value out of some of your posts, though others don’t fit my needs. Hopefully, you find the same of me and others. Thanks for stopping by…and you’ll have to get in line behind Deal Dad for Zulily Bashing! Please don’t forget to send around a link so we can donate on your behalf to LiveStrong. 1. Vendoming is NOT about the Vendome! It’s about the lack of diversity in content and the dissolution of travel into a checklist by many of the top points bloggers. Considering the over 90/10 positive response to the term, I’m no where close to the only one who noticed. I coined it (in April, before Prior2Boarding started) with an eye roll at the umpteenth Lufthansa 1st/Maldives/and yes, Vendome review I read on Boarding Area. It was put out there as an aside on TBB and picked up steam on it’s own volition. 2. It’s one thing to say (as you and Gary have now both publicly said) that you value diversity of opinion and to sing Kumbaya. I agree with you and belong to both Milepoint and Flyertalk, for instance, and find them useful for different reasons. However, MilePoint isn’t named “Flytalking” for a reason. Gary mentioned blogs with names that are similar to my own, but I’m pretty sure none of their content is in any way similar or would be confused as such. I don’t think anyone in our community is classless enough to blog as “Mommy Pointz”, “View From the Wings”, or “PizzaMon” (although PizzaMon has a nice ring to it ;). Even if they did, as the “first in class” the cream would rise to the top. So why is it ok for P2B to be so named? Some might argue that First2Board was a takeoff on Boarding Area, but the founders of First2Board had the class to clear the name first with the founder of Boarding Area. Also “BA” and “F2B” are clearly different. Some might argue that “PriortoBoarding” has been in some form for a while, but it was neither registered OR similarly abbreviated in Social Media. By connecting P2B to Boarding Area’s traffic, which is easily 10x F2B’s, the name was conceived for no other reason than to be a category killer. You may be asking “What does this have to do with me?”. I’ll tell you: you (and Gary) are in a position to speak truth to power. If diversity is good and more voices are better, maybe, just maybe, F2B should be left alone to live or die on it’s own merits? Again, not a sermon, just a thought. And, I do kinda like PizzaMon, in a slow down, Jamaican chill sort of way. Appreciate your thoughts, and I’ll answer the way I prefer, which is just blunt honesty. I blogged for a few years on my own, thrashing around figuring out what I wanted to do. I came back to it about 3 years ago and started to focus solely on travel. I enjoy it, and since I have a long-standing friendship with Randy, I asked him about Boarding Area a while back (maybe a year ago?). He invited me to a conference last year with other bloggers that I found very informative, and then later on invited me to be on Boarding Area. At that time, I didn’t know what P2B was, and only marginally knew what F2B was. I went over just now to see who exactly is associated with P2B. I already knew about Susan (Carolina Travel Girl) as I count her as a good friend and have linked to her blog from time to time. And, I obviously knew about your blog but I can’t say I was consciously aware that you were on P2B. I also see my good friend Brian blogging on P2B. I got a sage piece of advice a couple years ago from a friend who also happened to work for Randy at the time. Mikel, who now writes the Thread Tripping blog (which always gives me a good chuckle), told me to just write. And so I did. I don’t worry about colors, fonts and the like. I don’t worry about whether people like what I write. And, I honestly don’t have an iron in the fire of one blogger or platform versus another. I certainly don’t have the pulpit that Gary does, but I won’t be using my miniature soapbox to advocate for or against any blogger or platform. I will keep linking to content I like because, well, I like it. I did send out the charity link, but I’ll shoot it to you again in case it got stuck in spam or ether. Come to think of it, Mommy Pointz does have a bit of a ring to it. Maybe I should go squat on that domain until Summer figures out it’s value. Maybe it needs more than one Z? Yes, I think our families would totally gel! Let’s do that. Thanks for your (honest) thoughts, which is how I prefer them as well. I’ll just add one thing: re-reading what you wrote, I noticed you conflated P2B and F2B. That’s exactly my point. I wouldn’t care, either, if it weren’t cutting my organic google #s by a really large percentage…although people are starting to find me by googling “Vendoming”, so there’s that. As soon as I figure out what an organic google is, I’ll get back to you. LOL…it’s a pesticide free google. Wow…first visit to this site. I am so impressed with the fruitful comments section. It really makes it seem like a community. Ironically, I am currently in Paris with my wife and parents on a family trip! FWIW, we used VBRO and are staying in a lovely apartment. Though not free, it seemed a better option for 2 couples, particularly as we are not very point-rich right now. I’ll be returning to this blog. Thanks for the straightforward opinions! Thanks for chiming in, and hope you are enjoying Paris! I’m a fan of rentals, too. The fact that you said “community” made my day: it’s exactly what I’m trying to cultivate both here and at FT4RL. We (as bloggers) tend to have big voices. I think it’s entirely possible to disagree vehemently without being a complete jerk. As a single mom who provides the sole financial support for my children, and very much wants to share the world with my children, I strongly agree with what I hear you saying: It’s wonderful that there are individuals who can afford more than I can – bless them! However, when I read disdain or outright negative feedback on using points to fly to Europe in economy, I have to balk. My kids and I (thanks to you and many other bloggers) had a 2 week European vacation this summer which would have cost approximately $15,000 had we paid cash – which would not have been an option for us. Instead, we flew economy, used points for chain hotels (e.g Marriott), etc and came in at SUBSTANTIALLY less than 20% of that cost. Please note that, early in 2014, I approached several of the bloggers who offer personalized assistance (for a fee – which I was more than willing to pay – in how to best use my points portfolio for a trip to Europe for me and my kids. The consistent feedback was that I could, with the points I had, afford ONE first class ticket to Europe. I’m not sure what they thought I was going to do with the kids, but I ended the discussion at that point. You are the reason I write. Rock on! I was wondering who came up with Vendoming…pretty nifty 🙂 Also congrats on your FT4RL sessions…they are really taking off! Pingback: Points & Miles or Cashback? Pingback: When Are Hotel Loyalty Programs Worth the Extra Cost?